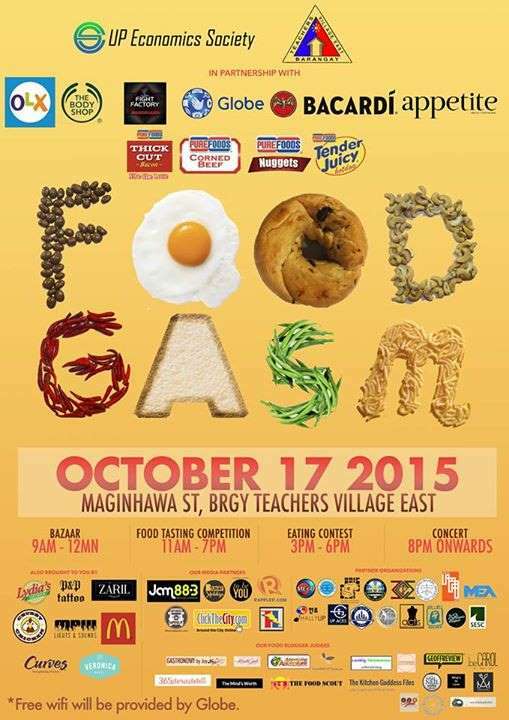 With about 40 dishes ready for tasting, Foodgasm goes to Maginhawa for their yummy event to tickle your tastebuds. Maginhawa Street in Quezon City is now gaining much popularity as the place to find appetizing adventures. Foodgasm is the yearly event highlighting gastronomic excitement. The combination is perfect. The event and the place become one. Are you excited for the yummiest event in the Metro? Get to hear some of the most promising acts and performers. Your favorite foodie event is back and tastier than ever, bring your taste-buds and we’ll see you there!